Guy Whitmore on the challenges of creating a dynamic musical score for mobile with only 3MB of memory. Introducing a character can be a tricky business. This is especially true of those characters present throughout the gameplay experience – player characters, buddies, guides, narrators and their ilk. Game teams exposed to such characters over months and years of development become so familiar with them that evaluating their introduction, the final implementation of which is often conceived of and added to the game nearer the end of development, can be incredibly difficult. It’s no surprise then that this is a common weak point in the presentation of a game – it’s a blind spot that takes great care to notice and real commitment to address. With voice being so inextricably linked to the portrayal of a character and their identity it often has a central role to play in their introduction, and is therefore a prime candidate for such oversight. Destiny, Bungie’s lush sounding über-game, has the not-so-enviable task of having to introduce a narrator, enemies, a guide and the player character, all in its opening moments. But, as you’d expect from such a lavish production and distinguished team, much thought and effort has gone in to how to make this work. 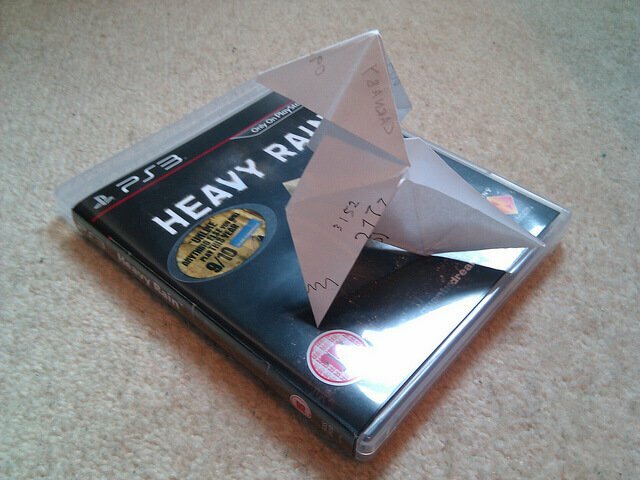 This is no mean feat and is nicely done. The same breadcrumb technique of ‘visual intrigue followed by vocal explanation’ that was used to introduce the narrator is used again here to introduce Ghost, the AI buddy character. The baddies, the Fallen, are introduced the other way around – having been explained by the narrator in the previous scene we know who they are when we experience them here for the first time (it obviously helps that the music and their voices identify them as evil). Ghost is also the vehicle used to introduce the player, by answering the question “what is that little robot scanner thing searching for?”. I initially interpreted the exposition that follows as suggesting that I (me, Kenny) had literarily been resurrected in the world of Destiny. I love this concept! Whilst it would be intolerable for every game to attempt to justify the relationship between the player and the game world in this way, I do like it when a game takes a crack at this – it’s kinda hokey, but I’m a willing victim for this kind of 4th wall breaking malarkey. However, it was only in writing this piece and scrutinising Destiny’s intro sequence more closely that I realised this wasn’t the intention (it doesn’t make any sense within the game’s own backstory/timescales). My confusion here stemmed from the use of first person perspective – it felt like Ghost was talking directly to me. But whilst I was the one he was making eye contact with he was actually talking to my character – it’s not that I had died (in my distant future) and been brought back to life, it’s that my character had previously been killed but was being brought back to life. I didn’t pick up on this because my character effectively hadn’t been introduced yet – as such I hadn’t been given an opportunity to assume their role. Despite this failure, it remains an intriguing setup – attempting to create a scenario which justifies the player’s disorientation and explains their lack of understanding about their character’s role in the game world is a really nice touch. 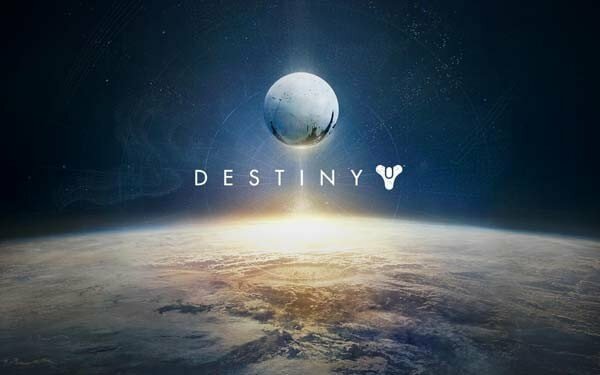 Whilst it is conventional, if somewhat clunky, for a first person game to have exposition take place from a third person perspective, it is an oversight for Destiny to have failed to set an expectation for this from the get-go and be so inconsistent in its presentation, especially when Bungie have otherwise made such a concerted effort to justify and explain everything. The player character in Destiny is in many respects the opposite of an acousmêtre – rather than being a disembodied voice which looses all of its power by gaining a body, it is a voiceless body which is robbed of its power by gaining a voice. 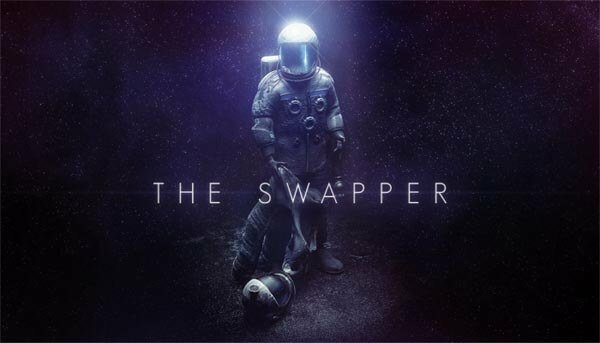 Another beautiful sounding game which uses voice in interesting ways when introducing its characters is Facepalm Games’ The Swapper. N.B. You’ll need to watch this full screen if you want to read the log! It was only then, when I heard her familiar voice, that I realised the voice logs I’d been hearing were actually intended to be live radio broadcasts, that I was meant to be intrigued by the existence of someone else on the space station and feel compelled to track them down. Does this confusion matter? It’s meant to be a mystery, so isn’t it OK for things to be a little confusing and to become clearer over time? If that is the intention, then absolutely. But I don’t get the impression that this is the intended experience here – this feels like another case of the developer being blinded by the additional context they have in their heads preventing them from seeing that they aren’t communicating it effectively to their audience. When the space station’s computer introduces the radio broadcast by saying “Radio uplink available – broadcast location: Mine Science Laboratory, Space Station Thesius” the developer thinks they have been crystal clear in calling out that this is contemporary (that’s certainly how it comes across when you know this is the intention). What they didn’t take into account is that by doing so immediately after introducing the game’s concept of ‘computer logs written in the past’, there was a danger that the broadcasts would be framed and heard in this context too. There’s nothing about the computer’s introductory sentence which indicates that the broadcast isn’t from the past – if anything, the inclusion of its precise location and the fact that it is introduced (made “available”) helps to suggest that it is a documented recording. Perhaps if it had unexpectedly just happened it would have felt much more like an “overheard broadcast”. But, even then, the broadcasts are missing any information or context to ground them in the here and now. I suspect the vagueness of the script here is intentional – however, it’s one thing for the player to not understand what is going on, but something else entirely for them to be misled as a result of flawed design. 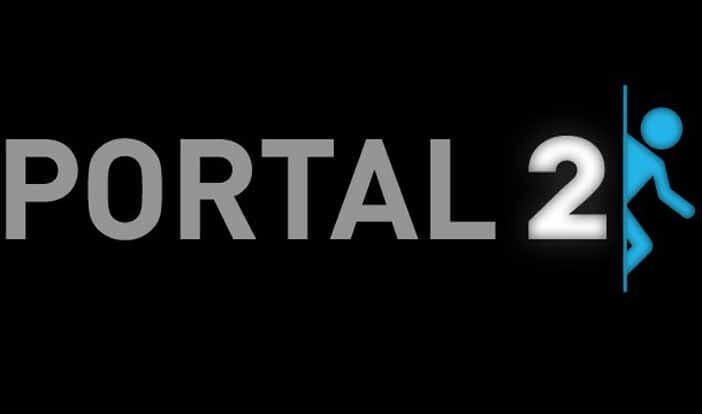 The Watchers, sentient alien monoliths, communicate with the player via text. Normally, this would be in danger of grating in a game which also uses voice, but here that juxtaposition is also what makes it work. Text usually has an implied voice even if there is none to be heard, but here it has none and none is implied. 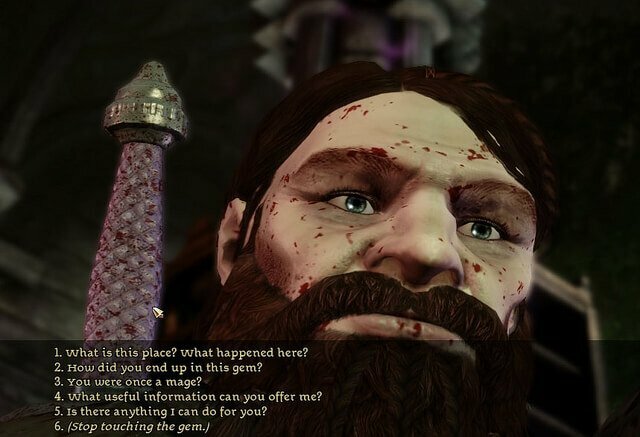 It isn’t text-as-subtitles underscoring an indecipherable alien language – it’s genuinely voiceless and silent text which takes up the entirety of the screen, and your attention, when the player character is stood directly in front of a Watcher. It’s as if the stone is communicating telepathically with you, injecting language directly into your brain. This is of course how all language works – you decipher its coded meaning internally – but it’s incredibly unusual for this magical process to be used in a way which is so overtly aware of this magic. And that’s what gives The Watchers their amazing power. It’s the visual equivalent of a disembodied voice – omnipresent and all consuming. Not only is this novel, sophisticated, intriguing and succinct, it doesn’t let any of these factors get in the way of its simple primary purpose which is to introduce the character completely and accurately (as per the author’s intent). It’s pure genius. IGM interview Jessica Curry on her work and thoughts on things. James Batchelor over at Develop Mag gets the skinny from composers John Broomhall, Jim Fowler, James Hannigan, Jessica Curry on the challenges of writing interactive music for games. GANG IESD co-chair Kenneth Young speaks to Naughty Dog’s Phillip Kovats and Jonathan Lanier about the GANG award winning mix in The Last of Us. Liana Kerzner over at MetalEater speaks to David Chan, Brian Schmidt, Gordon McGladdery, Anthony Russo, Chanel Summers, Matthew Marteinsson and Steve Royea about game sound. Rob Bridgett on making informed decisions early enough in the game development process to avoid clunky mix decisions later in the project. Sam Hughes over at The Sound Architect speaks to with Sam Cooper & Byron Bullock about the sound in The Creative Assembly’s Alien: Isolation. Rob Bridgett over at DesigningSound.org on the scope for silence in game audio.